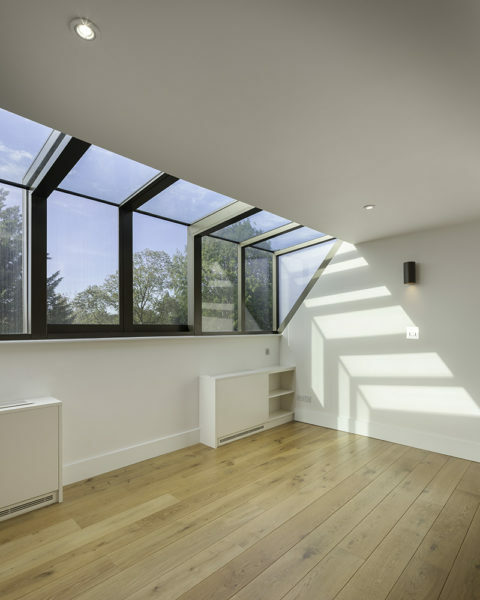 Bespoke rooflights, supplied by Glazing Vision, not only flood the ground floor with natural light, but they also help moderate the temperatures throughout the house. This elegant extension, designed by award-winning practice Chris Dyson Architects, not only significantly increases the footprint of the client’s North London home, but also delivers a uniquely versatile living space for use all year round. 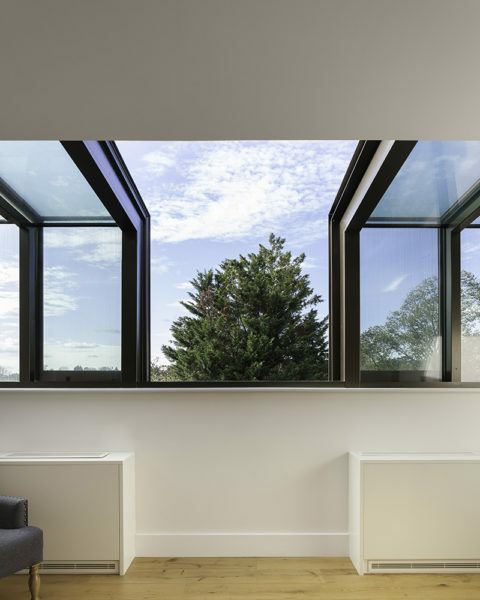 The pure scale and the innovative use of glazing for the extension as well as for the new top floor dormer cannot fail to impress, and yet the architectural language reflects the calm, understated style for which Chris Dyson Architects have become acclaimed. 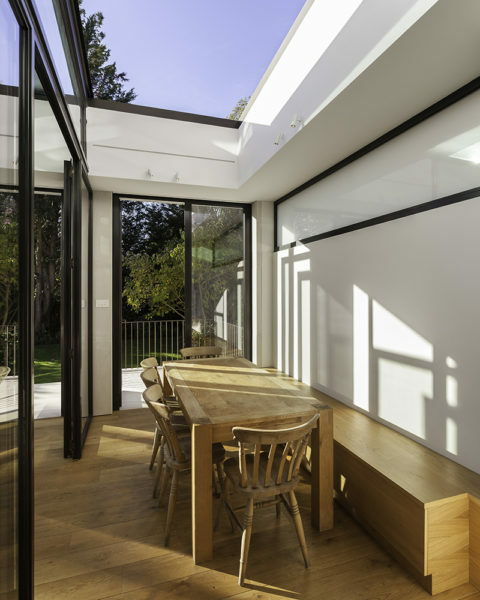 The design for the extension was a solid and robust structure that would integrate harmoniously with the main body of the house and would serve as more than just a “sunroom”. 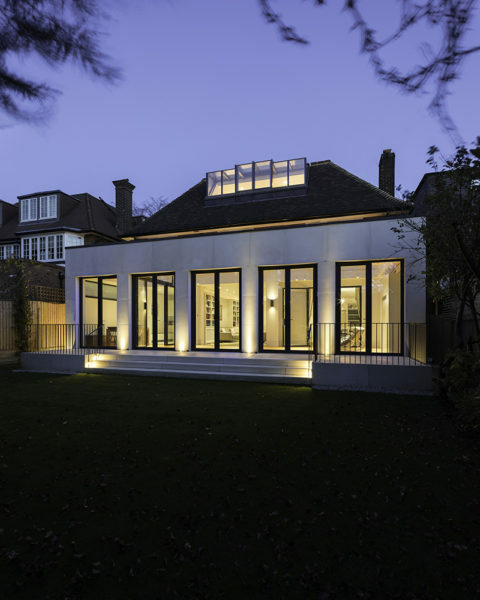 The traditional proportions of the classic orangery have been achieved by Chris Dyson Architects through the use of precast stone columns and five glazed openings, which connect the new internal space with a raised external terraceleading to the rear garden. 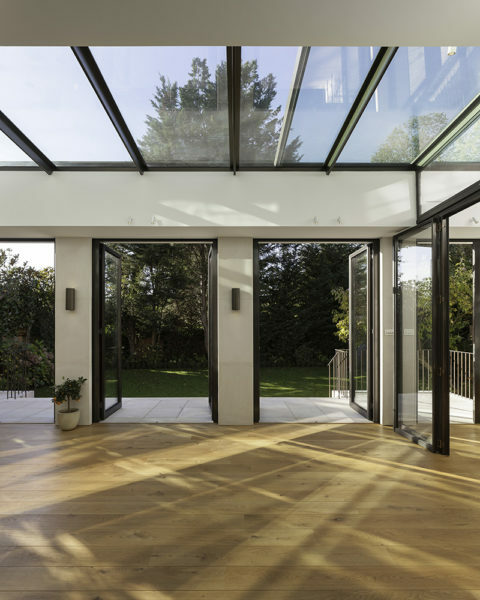 The insulated walls and the energy efficient double-glazing of the orangery would serve to keep the space warm in the winter months. In the summer opening the doors would help keep the space comfortable. 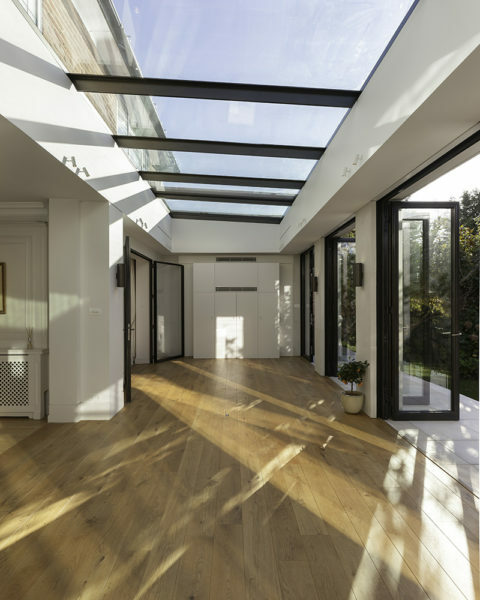 To further regulate the internal temperature a full width rooflight from Glazing Vision was installed, equipped with sliding elements. 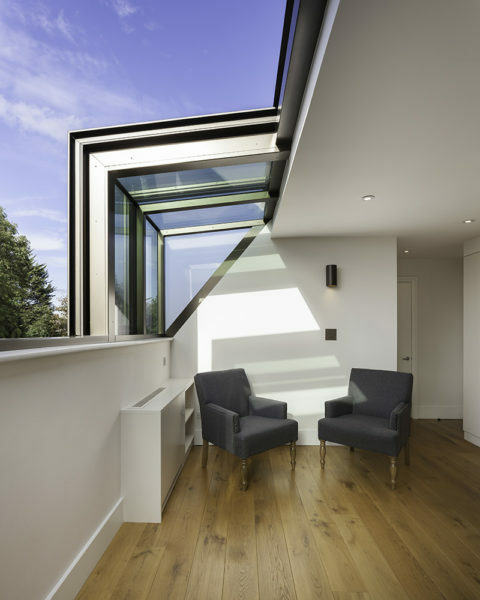 Chris Dyson Architects chose Glazing Vision due to the high quality of their products and their ability to create beautiful bespoke solutions. 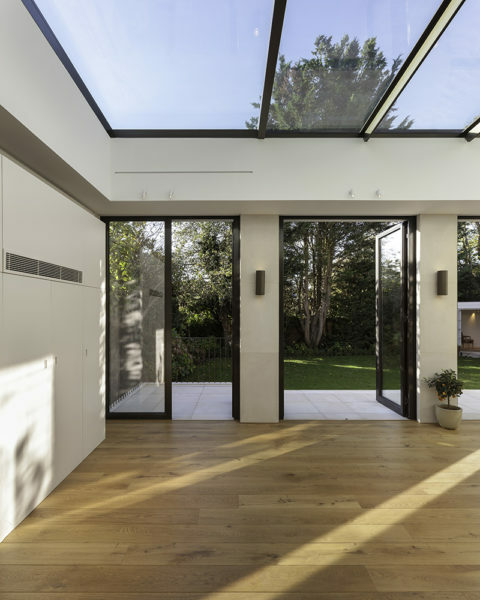 Given the exceptional size of the extension roof, 3320mm x 10900mm, Glazing Vision’s factory precision-engineered a special Dual Sliding Over Fixed Rooflight,comprising 8 sections. The 2 end sections were manufactured to slide over the 6 fixed central sections, traversing in a side-to-side, rather than an up-and-down slope operation. Once the 2 sliding sections are retracted, there is a handsome opening, giving an almost balcony-like effect, and encouraging the user to appreciate the garden vista during the day and to delight in the starry landscape at night. 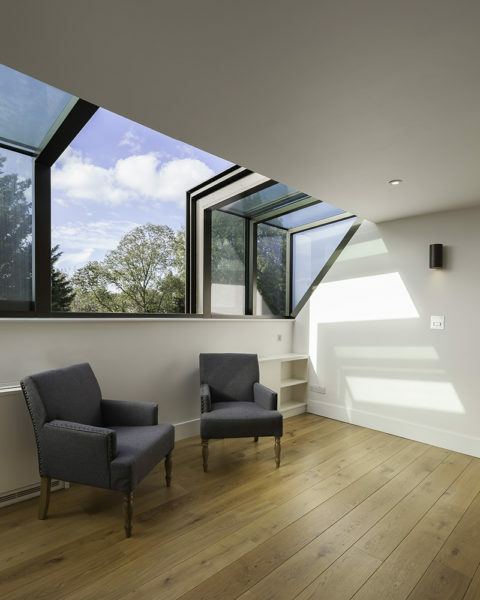 The Glazing Vision Bi-parting 1-wall Box rooflight helps to regulate the temperatures and the air quality throughout this upper floor, allowing copious amounts of fresh air to circulate when it is open. Rain sensors, offered by Glazing Vision as optional extras, were also installed to provide additional security should the weather suddenly turn inclement.